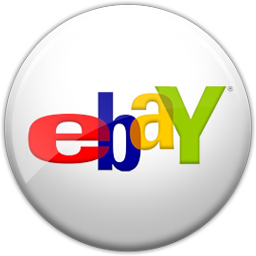 ECB81-5, the 5-string version of D'Addario's best-selling Flatwound bass strings, are known for their warm, mellow tone and smooth polished feel. With the addition of a .132 low B, Chromes deliver a deep, rich low bottom end which makes them the flat wound choice of Jazz, R&B and Pop musicians. Fits long scale basses with a string scale length of up to 36 1/4 inches. D'Addario Chromes Bass strings are wound with flattened stainless steel ribbon wire which is polished to an incredibly smooth surface. 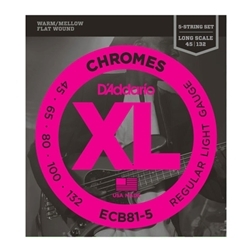 Delivering a distinctive damped, but tone-rich sound that only flatwounds can produce, D'Addario Chromes are the world's most popular flatwound strings.